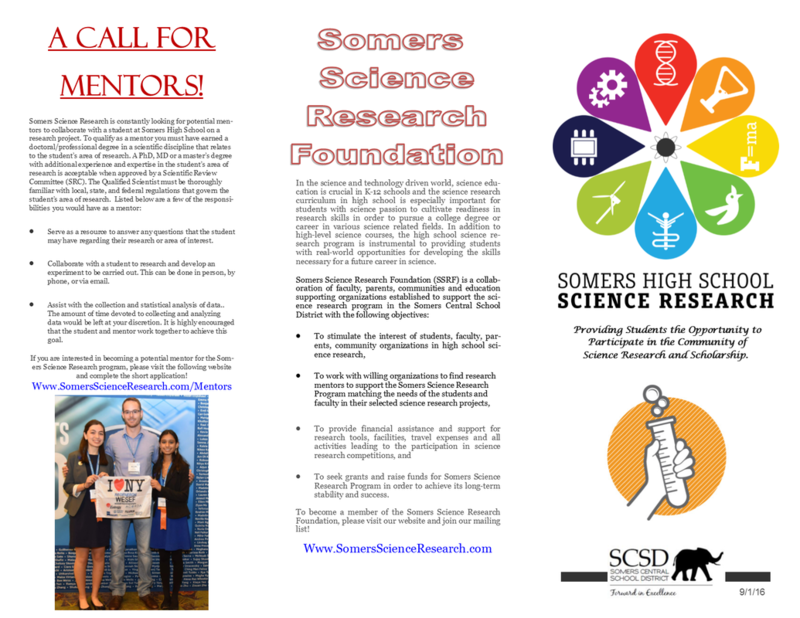 Somers Science Research is constantly looking for potential mentors to collaborate with a student at Somers High School on a research project. To qualify as a mentor you must have earned a doctoral/professional degree in a scientific discipline that relates to the student’s area of research. A PhD, MD or a master’s degree with additional experience and expertise in the student’s area of research is acceptable when approved by a Scientific Review Committee (SRC). 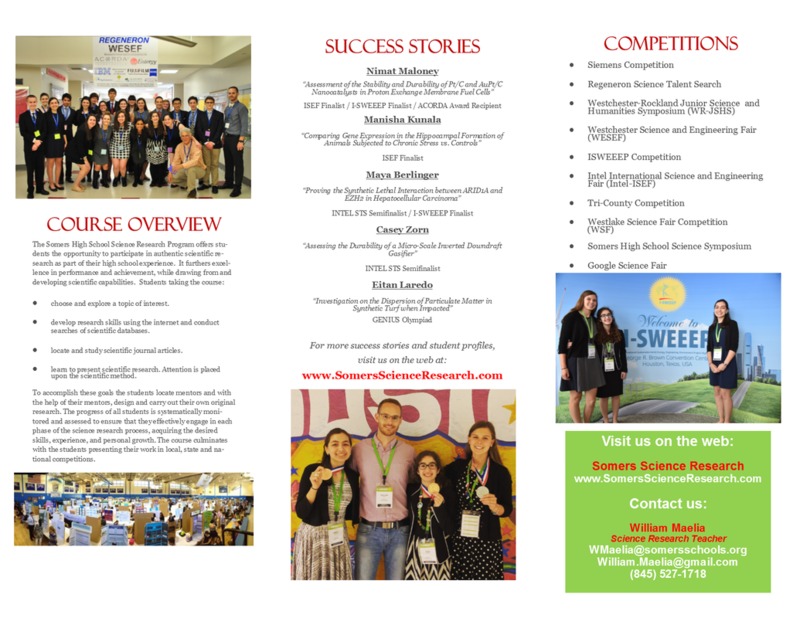 The Qualified Scientist must be thoroughly familiar with local, state, and federal regulations that govern the student’s area of research. Below is a packet that should help explain the role of a mentor in more detail. If you are interested in being a mentor, please complete the Google Form at the bottom of this page.